Would you try another book from Susan Mallery and/or Tanya Eby? Yes. They are not all so empty of a story line. 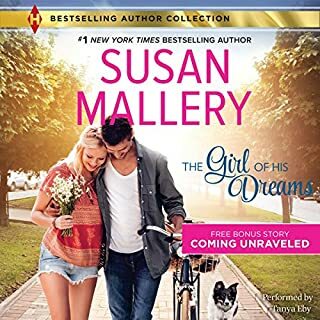 Would you ever listen to anything by Susan Mallery again? What character would you cut from The Girl of His Dreams? 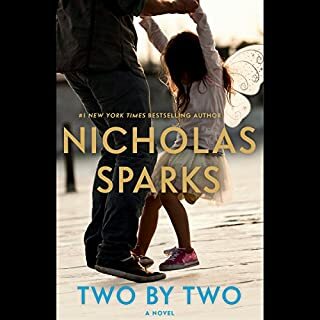 Where does Two by Two rank among all the audiobooks you’ve listened to so far? Fairly close to the top. While it was predictable, the Father was not the "normal" Father figure. He was someone that really stepped up to the plate. The Father. He really thought out what he was doing and made sure his daughter was always first. Who was the most memorable character of Two by Two and why? Someone that likes a slow moving book about nothing much at all. 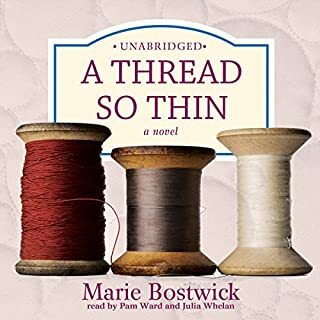 Has A Thread So Thin turned you off from other books in this genre? What three words best describe Pam Ward and Julia Whelan ’s voice?